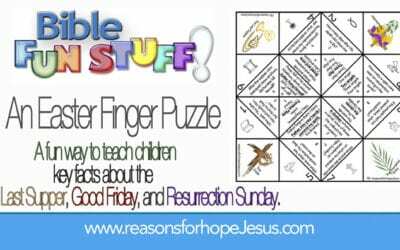 An Easter Finger Puzzle: A fun way to teach children some key facts about the Last Supper, Good Friday, and Resurrection Sunday. 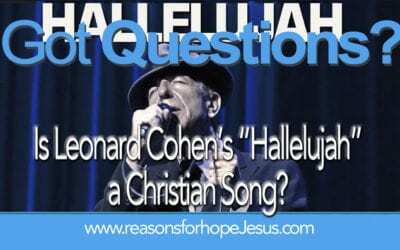 Leonard Cohen’s “Hallelujah” refers to biblical history, but is it a God-honoring song? 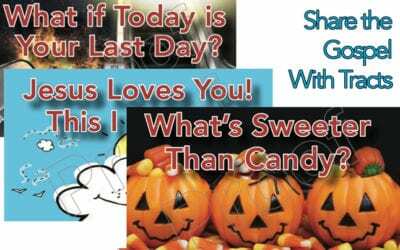 Does it reflect or contradict biblical accounts? 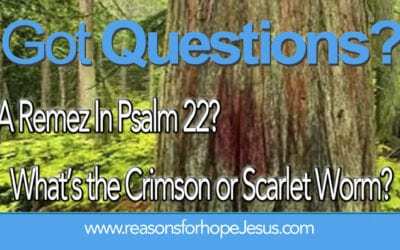 There’s a remez (hidden meaning) tucked in the words of Psalm 22. How does this psalm reveal Jesus as a worm? 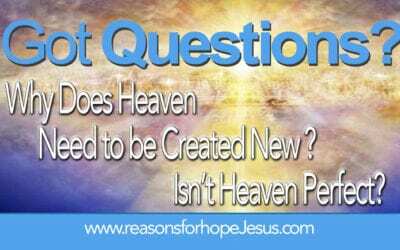 The Bible tells there will be a new Heaven. 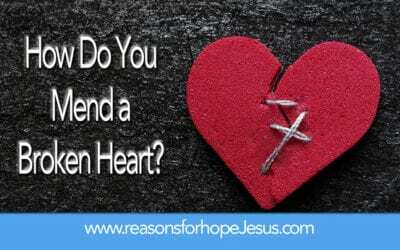 Why would heaven need to be remade since God’s dwelling place is perfect and without sin? Anthropomorphism is the attribution of human characteristics, behaviors, emotions, or intentions to non-human entities (e.e. animals, objects, even cartoon characters). 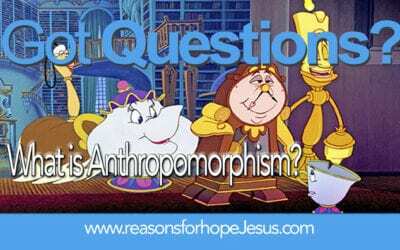 Read about anthropomorphism in the Bible. 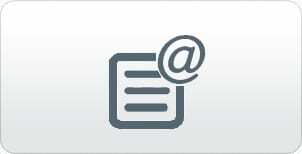 Resources to Equip, Encourage, and Empower YOU! Today could be the last day some spend on this earth. Where will they go? If they don’t know Jesus, they won’t go to Heaven. 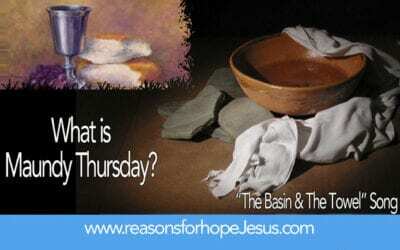 Prepare to tell others about the love of the Lord and HIs saving grace. 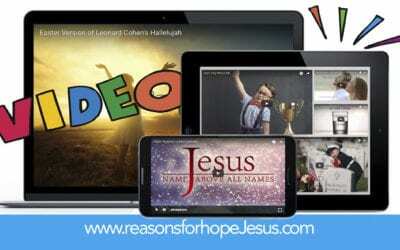 Watch videos that will inspire you, encourage you, and give you hope! 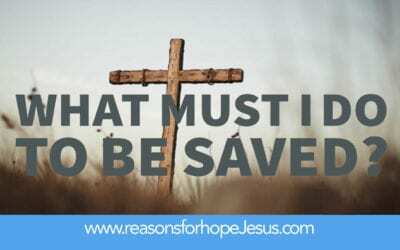 What Must I Do to be Saved? What If You Die Today? What if you die today? 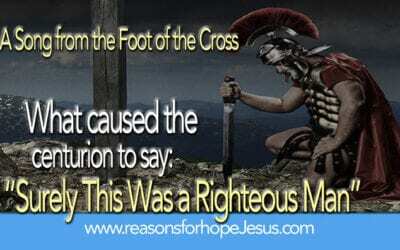 Salvation can be yours. 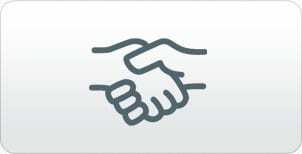 It is the gift of God given freely by the grace of God through faith. 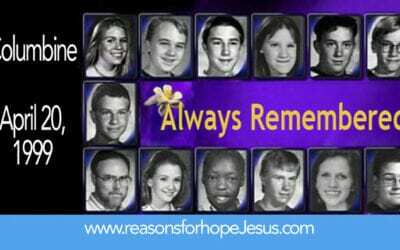 Trust in Jesus and have everlasting life. You shall love the LORD your God with all your heart, soul and mind.